When the customer uses our services, we ensure that the customer gets the cost benefit by not spending money on unwanted gadgets and features but buys the most suitable instrument, equipment for his/her clinic. A perfect installation always helps the doctor in utilizing the instrument easily and at its best thus the output is maximized from the installation. We are a team of expert professionals from Hardware, Software and Camera based optical technology fields. With our experience of installing our products at more than 1000s destinations of various categories, sizes and of various individual preferences, we are now experts in providing cost effective, user-friendly solutions for your clinic. Right from Intra Oral Cameras cabling, to various hardware problems, we can provide our expertise to you on all the related Intra Oral Camera matters. It is our duty to see that a practitioner gets maximum output of the installed equipment. We can guide you to buy the Computer and Laptop of correct configuration, which is suitable for your requirement. We also provide installations of various Capture cards, VGA splitters for P.C, Laptops and Monitors. Other related hardware problems will be taken care of by our professionals. Customized cabling solutions will be provided after understanding the need and geography of your clinics. We undertake various types of cabling jobs for Doctors like Television & Personal Computer simultaneous connection, two-four monitor connection, multiple chair connections and many more. After understanding the clients requirement we can suggest a better cost effective Video Borescope solution.As we have differenty types of modules ,we can create solution matching the buyers requirement..We have give smart costeffective solutions to many industries saving their valuable money. Can install our software [detailed and normal] on any Computer or Laptop, with any Operating System [Windows 98 and above]. Our software can be installed not only our Intraoral Camera but also can be installed on any of your existing cameras. 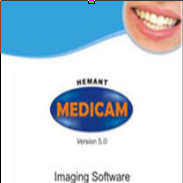 This software will enable you to store patient data, images and video clips etc. The software we provide is loaded with lot of utility features.